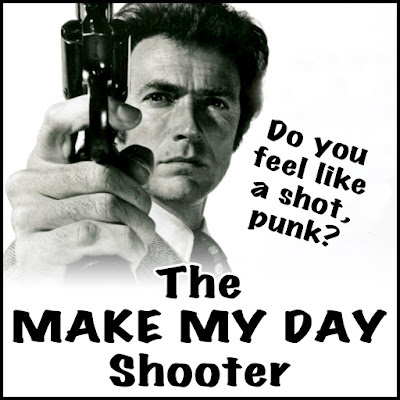 Celebrating the birthday of American actor, director and all around cool guy, Clint Eastwood. 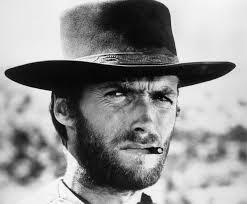 I have had a crush on Clint Eastwood since his days of playing Rowdy on Rawhide. I followed him from the American Old West right over to Italy for his roles as "The Man With No Name" in his Spaghetti westerns, adored him as Dirty Harry and was beguiled by him in Beguiled, and feared for him in Play Misty for Me. I cheered when he won Best Director for Unforgiven, cried at his lost love in Bridges of Madison County and thoroughly enjoyed Space Cowboys. I've seen most of his television roles, and every film he's been in and/or directed, the latest of which was Jersey Boys and American Sniper. I've also enjoyed his music as a composer, musician and, yes, as a singer - I confess to still hoarding the soundtrack to Paint My Wagon because of his rendition of I Talk To The Trees. Combine all ingredients in a 2 Oz. Shooter. Flame it if you dare, punk.